She shakes like a leaf and makes me move the trash can out so she can get between the stove and the cabinet to hide. Posted March 22nd, 2016 . 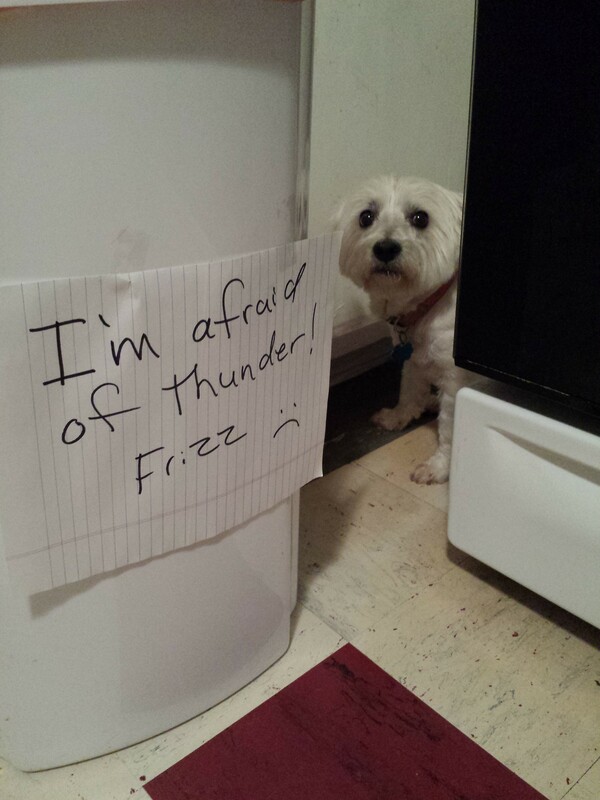 Tried a thunder shirt or Rescue Remedy…helps my girl who is terrified of thunder. I agree with Sandra Lund, try a thunder shirt. Worked pretty good for my German Shepherd. She still wanted to be held but was much better with the shirt on.